Israeli settlers, last night, punctured the tires of three Palestinian-owned vehicles and spray-painted racist graffiti on walls after raiding the village of al-Mughayyer, to the north of Ramallah, in the occupied West Bank. 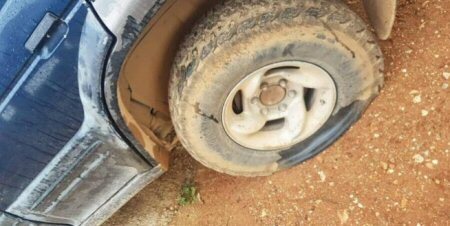 Local witnesses told WAFA that settlers from the illegal Israeli settlement of Adei-Ad punctured the tires of three vehicles and sprayed anti-Arab and other racist slogans on other vehicles and on walls. This attack is the third in three years, and the village mosque was set on fire twice, in 2011 and 2014. Meanwhile, settlers uprooted about 40 olive trees from lands in the nearby village of Turmus Ayya.